Registration for Act2Impact in now open! This year HMUN India is excited to continue our Impact Program, rebranded Act2Impact, to encourage delegates to make a real difference in their community that will continue beyond the four days of conference. In order to empower students to make real world change, we are proud to announce several new initiatives to better enable delegates to make their ideas into reality, working towards the Sustainable Development Goals and the ethos of the United Nations organization itself. 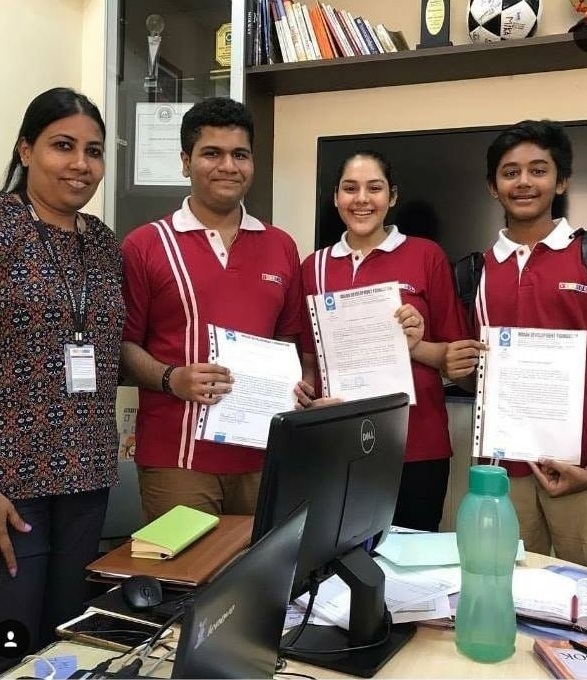 This year Resolve Impact will allow students interested in the Act2Impact Project to work with HMUN India Directors and other delegates to learn about social innovation and refine their project ideas. HMUN India and Worldview Education will also be providing funding for the top three projects in order to ensure that delegates can implement their projects. Delegates will be encouraged to choose one of the 17 Sustainable Development Goals to research and then create a project to address that goal in their community. Delegates are welcome to work in groups of up to three or on their own, but must have a faculty advisor or legal guardian to oversee their work. Delegates can receive guidance from HMUN India Directors through the Resolve-Impact program and well as through sending project updates and questions to dg@hmuninda.org. Before registering, delegates should learn about the Sustainable Development Goals and take a look at the SDG Kit for some project inspiration. Registration opens April 1st and will close June 25th. This is a preliminary form to get an idea of the types of projects delegates will be working on. Delegates can also pledge to work on a Act2Impact Project on social media using the hashtags #Act2Impact #HMUNIndia2019. More information on social media opportunities will be announced on our social media platforms. Delegates should research their chosen SDG and begin planning a project that will address that goal in their community. Talking to the people in their communities, delegates can identify people who can help them with projects and better understand the challenges they are hoping to meet. It is okay if ideas changes from the ones outlined in the registration form. Delegates can keep the HMUN India team updated either by participating in Resolve Impact or by sending updates to dg@hmunindia.org every few weeks. This can be in the form of a written report including pictures and information about the project, or in the form of a video. While delegates do not need to have fully implemented their projects yet, they need to demonstrate that they have taken some steps towards creating their proposed program. In the final application, delegates should clearly explain the objective of the initiative, how it relates to the SDGs, the impact the project has had thus far, as well as plans for the future. The goal is to create a program that can have long term impact. Finalists will be contacted by HMUN India staff and asked to create a poster to showcase their work at conference. Final interviews will be conducted at HMUN India 2019 and the winners will be announced at the Closing Ceremonies. The goal of this program is to inspire and empower young leaders to make a tangible difference in their community and bring the world one step closer to meeting the UN’s Sustainable Development Goals. We hope that all delegates who participate in the Act2Impact program continue to work on their impact projects. This year we are proud to support the top three projects with some funding to help implement programs in local communities. You can find more information about previous Impact Projects here.